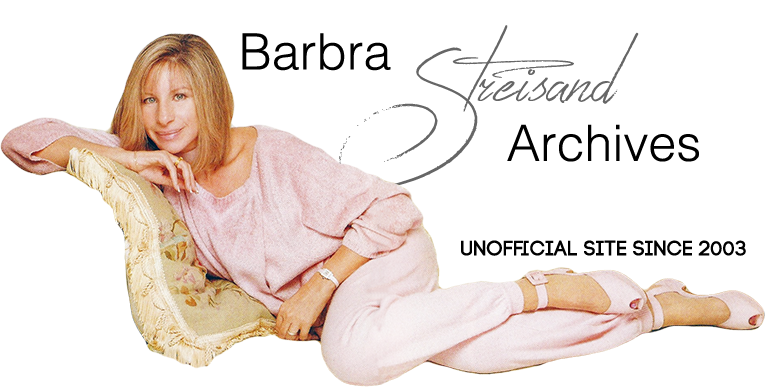 As the long summer afternoon winds down, Barbra Streisand ratchets up her psychic mainspring. Several details, domestic and otherwise, have to be dealt with before she can leave her house—a big Spanish-style affair on a hill several blocks above Sunset Boulevard—and drive across town to a test screening of her new movie. Not that the producer, director, and costar of The Prince of Tides seems tense. Intense, yes; details are her daily bread, at least when she's working. But the diet becomes her. As she hurries from room to room (rooms change suddenly in this house; the decorating virus that afflicts Streisand seems to return, like malaria, without warning), she looks a decade younger than her forty-nine years. Her luxuriant light- brown hair frames a face that bears no signs of retouching; and in leggings and a blue-green silk blouse, her body is slim, lithe. From a combination sitting room-ofﬁce done entirely in white, she puts in a call about the retrospective of her thirty-year recording career that Sony/Columbia plans to release this Christmas as an elaborate boxed set. The issue to be settled is at what precise point, on the last of more than ﬁfty cuts in the compilation, will Barbra Streisand begin singing a dual-track duet with Barbara Joan Streisand, an ardent thirteen-year-old songbird on a scratchy home recording made in 1955? Measure for measure on the phone, Streisand discusses the song, “You’ll Never Know,” and makes her ﬁnal — or at least semiﬁnal — decision. Her friends tell her—as friends will — what she wants to hear: The movie is wonderful; she’s lovely in it. (Shirley MacLaine also congratulates her for having cut the right things out: “That’s your brilliance. At least half of it.”) But all of their praise happens to be merited, and then some. Having demonstrated her command of the medium in the radiant, deeply felt Yentl, which she directed eight years ago, Streisand has surpassed herself with a ﬁlm of greater sweep and even deeper feeling. And although she is lovely indeed in the part of psychiatrist Susan Lowenstein, her ﬁnest achievement is her direction of Nick Nolte in the central role of the tortured Southerner Tom Wingo. lt’s a breakthrough performance if ever there was one — a classic of American movie acting. Eight years is a long time for a director to go between gigs, even if Streisand does have other work to fall back on. It could be argued that she’s always directing something, whether it’s movies, sofa pillows, ashtrays, concert stagings (though she has never liked singing in public and may not ever do it again), or displays of her collection of art-nouveau antiques — which she’s planning to sell at auction as part of a new push to simplify her life. “Being a director is probably the best job for me,” she says, “because I was a kid who always told her mother what to do. lt‘s the way I was brought up; my mother gave me so much power.” That's true enough—her mother was into role reversal before Barbra was into her teens—but it barely hints at the complex story of how she’s using that power now, how she has used it in the past, and how directing movies has become the governing passion of her life. “I think I’m in a good place now,” she tells me, with only a tinge of tentativeness. “I think l’m putting things into proper perspective.” She talks of directing as liberation—a way to attain some of the personal freedom that has eluded her as a perfectionistic, sometimes reclusive, performer. Beneath the calm self-security, though, is a subtext of abiding hurt. For all her acclaim as a singer and actress, for all her wealth and power, Barbra Streisand still wants to be taken more seriously as a director than Hollywood has thus far been willing to take her. Never mind that her work in Yentl made her a role model for young women in the movie industry. (“You can have all sorts of people tell you anything is possible,” says Jody Podolsky, a twenty-one-year-old ﬁlm-school student at the University of Southern California. “You can even go to a Bible school and hear it from a rabbi. But it took Barbra Streisand’s impassioned delivery in Yentl to make me believe it.") Never mind that many directors considered Yentl a brilliantly crafted motion picture. I should disclose a special interest in Yentl, and a friendship with Streisand that goes almost thirty years, when she and her husband, Elliott Gould, moved into the twenty-ﬁrst-ﬂoor penthouse of an apartment building in Manhattan where I was living—on the tenth floor—with my wife, Piper Laurie. One night, my extremely upstairs neighbor called to ask a favor. A man named Valentine Sherry had just brought her a short story that he thought would make a good movie. She wondered if I would read it and tell her what I thought. The story was Isaac Bashevis Singer’s Yentl, the Yeshiva Boy. I read it immediately, was enchanted by it, and told her to grab it and make it her next movie. I’d like to be able to report that my neighbor, acting solely on the basis of my ineffable wisdom, did make Yentl her next movie. But that’s not quite how it worked, of course. The night she called me was over twenty-two years ago, and I was only the ﬁrst of countless people whose advice and support she solicited on Yentl’s long, notoriously difficult journey to the screen. I should also say that I've seen Streisand’s strangle-hold on details up close, and it can be eerie, to say the least. When she was putting the ﬁnishing touches on the sound track for Yentl, she came into a recording studio in West Los Angeles one night to rerecord a single phrase on one cut. Everyone was ready to go: her topﬂight producer, Phil Ramone, plus a couple of equally impressive engineers. When they played the offending phrase in Streisand’s headphones, she said no, that was the wrong take. When they assured her it was the right one, she assured them it wasn’t. When they said the computerized system didn't lie and the only remote possibility of error was a computer glitch, she asked them to summon the computer maven posthaste. This conversation couldn’t have been friendlier or more respectful on either side; top people love the challenge of working with her—although it can be exhausting—and she loves working with them. Still, everyone in the booth assumed Streisand was wrong. Then, the computer maven arrived on his motorcycle, typed a brisk query to his trusty microchips, and discovered she was dead right. Everyone who has ever crossed Barbra Streisand’s path has similar stories to tell, but the stories themselves are only microchips in the mosaic of her work, which shines with big, bold motifs as well as tiny details. If her camera in Yentl studied crystal and china and storks on chimneys, it also dramatized vivid issues of femininity, feminism, sexual identity. “I talk best through my work,” she tells me now, after a whole afternoon of earnest talk, “through the songs I sing and the pictures I decide to make.” When she found her Isaac Singer short story, I realized much later, she found a perfect container for her ambitions. Her decision to make Yentl connected deeply with the woman she was and wanted to be. Yentl was a Jew who wanted to break out of the shtetl, as Streisand had done, in her fashion, when she left Brooklyn. Yentl was a female who rejected the dim-witted dominance of males. Above all, Yentl was a self-taught scholar with a stubborn streak and a restless mind—voracious, devouring. That’s Barbra Streisand all the way. She expressed endless opinions, to be sure—often to her directors’ dismay but sometimes to their delight. William Wyler, the distinguished director of Funny Girl, had one deaf ear, but he never turned it to her. On the last day of production, he presented her with an engraved megaphone, because he thought she should be a director too. After the frustration that replaced the elation of directing Yentl, Streisand lacked another project for several years. Then, while she was making Nuts, the music editor mentioned The Prince of Tides as a story she ought to direct. Although she wasn’t familiar with the novel, Don Johnson, whom she was seeing at the time, was engrossed in The Prince of Tides too, and he read passages to her aloud. Slowly, like so many things in her life, her commitment to Pat Conroy‘s book took root. This time, the story was contemporary and more accessible than Yentl to mass audiences. Just like Yentl, though, The Prince of Tides had deep connections to Streisand’s life. It spoke of parents’ demons and children’s pain, of growth accelerated by psychotherapy into dramatic change, and all of this at a time when she was using therapies, both formal and informal, to make sense of her own losses and distress. Aside from that Oedipal counterpart of a computer glitch, the professional relationship was untroubled and productive in the bargain; Jason Gould gives a skillful, winning performance. So do many others in the ﬁlm — Blythe Danner, Kate Nelligan, George Carlin — for Streisand’s touch as a director is uniformly sure. Now the trick, in upcoming segments of her life, is for her to be as sure about herself. She wants that recognition as a ﬁne director, but will she give proper credit to herself, whether or not she gets it from others?